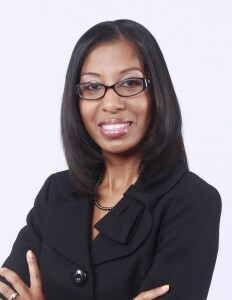 Leslie Scott Jean-Bart is a fifth generation Jacksonville native who enjoys helping injured consumers obtain justice. Since 2000, her practice has focused on plaintiff personal injury law, first working at Farah & Farah before opening The Jean-Bart Firm, P.L. and joining Terrell Hogan. Leslie earned a Juris Doctor from the University of Miami School of Law, where she received the C.A.L.I. Award of Excellence in Florida Appellate Law. She also earned a Bachelor of Science degree from the University of Miami. Her legal career began at Legal Services of Greater Miami, preserving safe and affordable housing for the poor and working poor before joining Sheppard, White & Thomas, P.A., where she handled employment discrimination, civil rights, and education cases in state and federal courts. Leslie serves on the boards of Three Rivers Legal Services (Secretary), LSF Health Systems, Operation New Hope, Operation Save Our Sons, The Public Trust Environmental Legal Institute of Florida (Secretary), and The Museum of Science and History (MOSH). She is the Chairperson of the Northeast Florida Community Action Agency (NFCAA). She also volunteers as an Attorney Ad Litem and Educational Surrogate for foster children. Her life-long interest in public service was inspired by her late grandmother, Mary L. Singleton, the first black woman elected to Jacksonville City Council, who went on to become a state representative. Leslie chaired the annual Mayor of Jacksonville Mary L. Singleton Memorial Breakfast, a tribute to her grandmother’s legacy. She was appointed by Mayor John Delaney to the Better Jacksonville Plan Citizens Oversight Committee in 2001. Governor Rick Scott appointed Leslie to the Florida Elections Commission in 2012. In 2013, Chief Judge Donald Moran appointed her to the Jacksonville Ethics Commission. Leslie is a member of The Florida Bar, State Bar of Georgia, American Bar Association, National Bar Association, Jacksonville Bar Association, American Justice Association, Florida Justice Association (former board member), Jacksonville Justice Association (former board member), Florida Association for Women Lawyers, Jacksonville Women Lawyers Association, Virgil Hawkins Florida Chapter of the National Bar Association, and past president of the D.W. Perkins Bar Association. In her free time, she enjoys attending community events with her husband, and daughter. She’s an avid reader and enjoys cooking; Christmas Gumbo and red velvet cake are her specialties. Auto Accidents, Truck Accidents, Motorcycle Accidents, Bus Accidents, Dog Bites, Civil Rights, Drunk Drivers, Slip & Fall, Premises Liability.